A spectacular set of throwing knives for throwers of any skill level, the 3 Piece Zombie Hunter Throwing Knife Set includes 3 identically crafted throwing knives which have a balanced spear point design and cord wrapped handles. These knives are crafted from stainless steel and feature an eye catching gray black and silver finish, with a large white skull graphic printed at the base of the blade. The use of green nylon cord wrapped handles provides a comfortable grip which can withstand the force of collisions with your target. A black nylon sheath is included with this throwing knife set to allow for them to be safely stored. 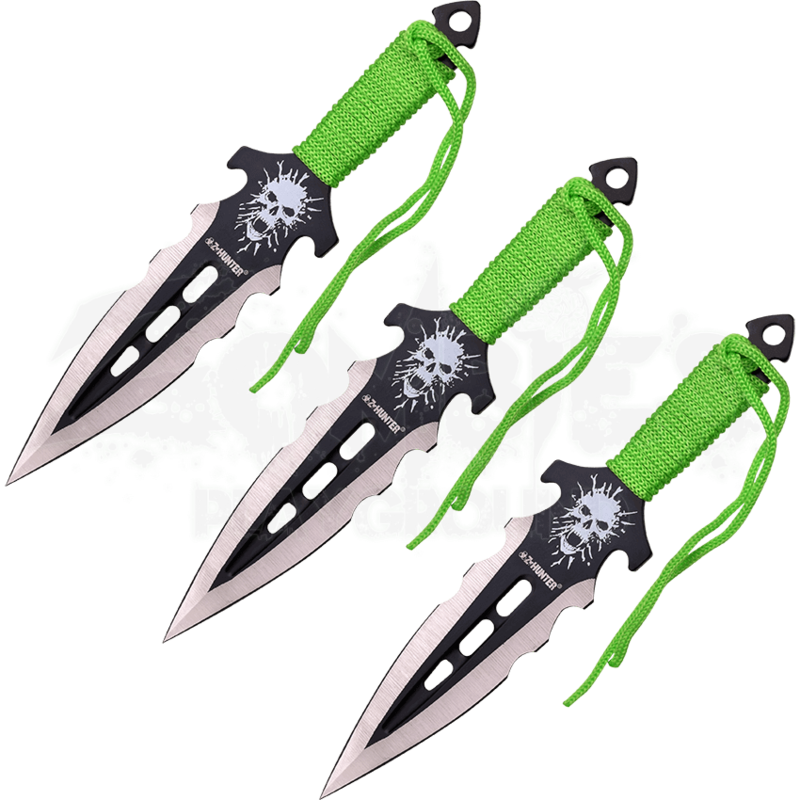 Hone your throwing abilities by training with the 3 Piece Zombie Hunter Throwing Knife Set.